Want to show the world that you're different from other authors? - That you'll never stoop to the unethical behaviour that occasionally brings indies to media attention for all the wrong reasons? 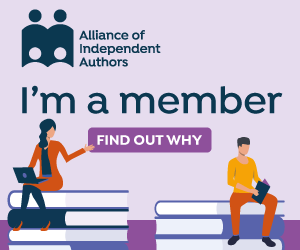 A little while ago, I wrote a post entitled The New Gatekeepers of Publishing Quality in which I mentioned that the Alliance of Independent Authors would soon be launching a voluntary code of ethics to which we could all potentially declare adherence. Well I'm happy to announce that such a code has indeed just been launched and you can find all the necessary details on the SelfPublishing Advice Blog here. 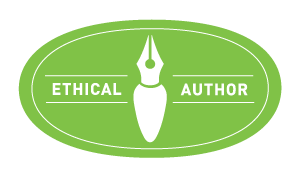 The following logo will then be displayed under the social sharing icons below your author profile photo on your public author profile page. I have seen it and AIA's announcement. I've been asking if anyone can use it, or if it's only for AIA members, but haven't received any official answer. I guess your post means that it is, indeed, open to all. That is certainly my understanding from the announcement and from previous comments from Orna, and since it was posted, together with the html code needed to display it, on the public-facing blog rather than in a member-only section, it seems safe to assume it must be open to all. And Merry Christmas to you too!"